Our skin represents us for our entire life; it’s ever-present and ever-changing and needs conscious nourishment to maintain its clarity. Our lifestyle, diet, and skincare routine can show itself on our skin and tell all of our secrets of late nights, lack of cleansing, and sun damage. Some of us are blessed with naturally good skin, whether this is through biology and genetics or finding the right skincare system, and some of us aren’t so lucky. Hormone imbalances, oil production, and lifestyle factors can all affect our skin’s health against our will, and the end of ineffective high-street skincare products is never in sight. It’s difficult to know exactly what our skin needs, which is why we’d always recommend a free skincare consultation with one of our experts. One of the treatments that we are proud to offer and that tackles a vast range of skin complaints is microneedling. Here’s exactly what you need to know about microneedling in Knightsbridge. Microneedling is a brilliant way to rejuvenate the skin. It can target enlarged pores, fine lines and wrinkles, active acne, and a dull complexion. 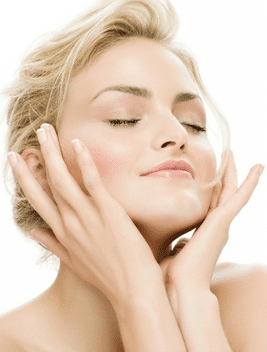 Battling with reactive or problematic skin can be draining – sometimes you never feel as if you’re making any headway. With microneedling you can essentially reset the skin, paving the way for a positive skin cell turnover, plumping of tissue, and facial rejuvenation. This is where microneedling really revolutionises skincare. Re-establishing control and rebalancing your skin can feel incredible, but sometimes we’re left with pock-like scarring in the skin. These can appear anywhere from small dimples to larger, more craterous scars that affect our confidence and act as a nasty reminder of what we have overcome. Acne scarring occurs when the body tries to heal itself after skin trauma, so its intentions are pure, but its results are not. Luckily, the controlled healing of microneedling can smooth this acne scarring. Microneedling uses tiny and precise needles to create a controlled wound on the surface of the skin. These punctures stimulate the body’s natural healing response, prompting our skin to produce more collagen and elastin to heal and rejuvenate from the inside out. This means it can effectively treat issues like skin quality and scarring, but also fine lines and wrinkles through its plumping effect. Because it uses our body’s own process, results can take around 6 weeks to fully develop because we need to allow our cells time to react. After treatment, your skin will appear slightly red and tender. This is perfectly normal and actually a good indication that the treatment has worked. The redness will slowly subside over the next few days as your superficial wounds heal and your rejuvenation under the skin begins. We’d recommend wearing daily sun protection to shield this new and sensitive skin from the sun which will also aid in maintaining your results. Studies have shown that after microneedling, your topical skincare products could penetrate deeper into the skin. This is true for moisturisers and cleansers, because the pores have been opened and are extra receptive to your skincare efforts. We’d recommend wearing mineral-based makeup after your treatment purely because of your skin’s new absorption abilities. It won’t clog your pores, so your skin can take full advantage of the microneedling treatment. You may not even feel the need to wear any, since your skin will be glowing and silky smooth. Though you may see some improvements in your skin far earlier than the optimum 6 weeks mark, you unfortunately won’t wake up with instantly clear skin. We’d always recommend between 3-6 treatment sessions to reach and maintain your long-term results. This is because of the body’s natural healing process – it needs time to restructure the skin, rebalance your facial oils, and heal acne scarring. Because it focuses on the skin’s health and composition as well as cosmetic appearance, it works deep within your skin’s layers to transform its outward appearance rather than just superficially. Microneedling is incredibly effective at treating many skin complaints and impurities, including the previously difficult acne scarring, and is available from Omniya’s Knightsbridge clinic. Our consultations with our skin specialists are free, so you can learn all about your skin’s needs and receive our recommendations. Even if it transpires that microneedling isn’t for you, we can recommend you a treatment that is. Get in touch today!